If you ask me, music is one of the most important aspects of a video game (or most any form of media, really). Whether it’s the catchiest tunes that etch their way into your memory until you regularly hum them during your daily activities, a sweeping score that gives a game a grand sense of scale, or minimalistic melodies to help build the atmosphere of a game’s world, music is of the utmost importance in helping make a game become something you’ll truly remember. As far as 2017 was concerned, there were certainly no shortages of quality video game soundtracks to go along with all the quality games. But something had to win. C’mon! Mario games and terrific music go together like peanut butter and jelly! Is this really a surprise? Still though, even with the Mario series’ consistently catchy music, Odyssey is something special. This is, after all, the first-ever Mario game to feature songs with lyrics, and damn catchy ones, too! Odyssey takes the orchestrated scores first introduced in the Mario Galaxy titles, and turns it all into something even more whimsical and full of personality. Odyssey introduces an even wider range of styles and moods than any Mario score has seen in the past – from the adventurous Cascade Kingdom Theme, the gentle melody of the Lake Kingdom, the hustle and bustle of New Donk City, and the atmospheric gloom of the Ruined Kingdom – this is a Mario adventure whose musical score is as creative and varied as its wild locations and art directions. Every world even gets it’s own 8-bit remix to bring a bit of retro charm to the proceedings. For Odyssey, Mario needed a musical score that could justify an adventure this special. And boy, did it ever deliver. Jump up, superstar! Wizard Dojo’s video game awards continue with the Best Music category! I strongly agree with your forward about how important music is to video games. It won’t make a great game by itself, but it plays a big part in player immersion and helps define a game’s legacy. My memories of games like Red Red Redemption, Ocarina of Time, Journey, Assassin’s Creed II, and Fallout New Vegas are always accompanied by their soundtracks. 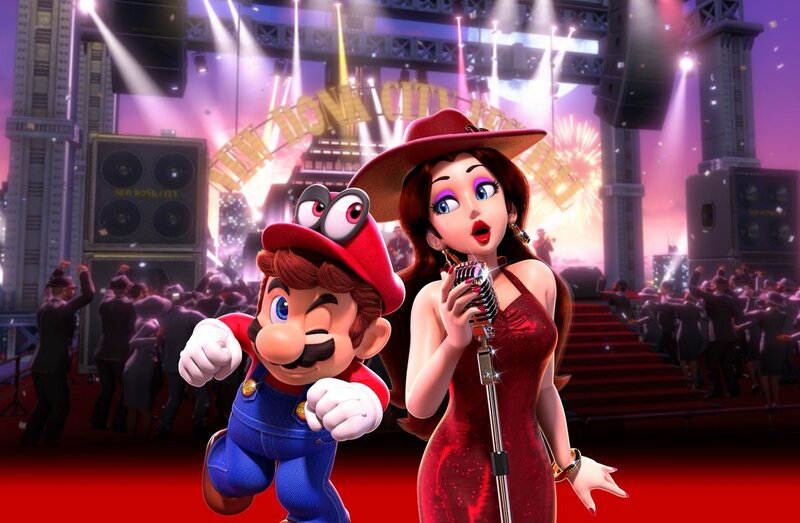 Loved Super Mario Odyssey’s soundtrack, that’s a nice pick. I’d have to cast my vote to your runner up in Persona 5 though. I have the soundtrack CD that came with the game’s collector’s edition and I love it dearly. Walking through the door of Cafe Leblanc and walking around at night with that song always playing… That’s something I’ll never forget. Honestly, Odyssey, Persona 5 and Sonic Mania all could have claimed this award. But it’s hard for me to say no to the whimsy of Odyssey’s score. Persona 5 is terrific to listen to, though. The only problem related to the Odyssey soundtrack is that it is inevitably compared to the OST of the Galaxy games, and that’s just impossible to beat. Great choice! I would say Odyssey’s score is on par with the Galaxy games on the whole, but Galaxy maybe had the more immediately catchy tunes (Gusty Garden Galaxy!). All three boast all-time great OST though.